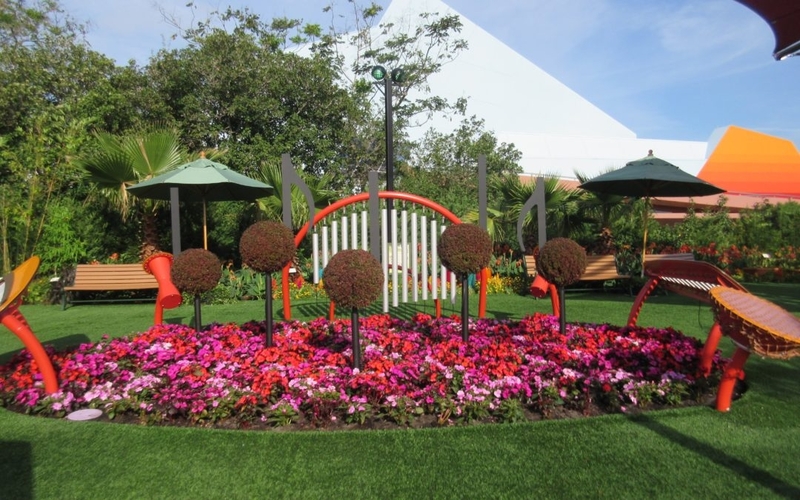 Located on the right side of the pathway leading from Future World to World Showcase, Music Garden Melodies is a perfect spot to stop and relax, while letting the kids blow off some energy. It is a beautiful combination of flowers, musical activities, and playground equipment. 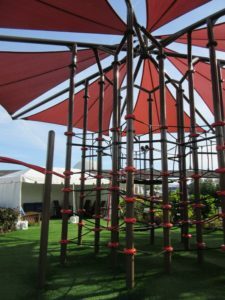 There are drums to bang, ropes to climb, xylophones (some quite gigantic!) to play, slides to enjoy, and jungle gyms to conquer. It’s a child’s paradise. 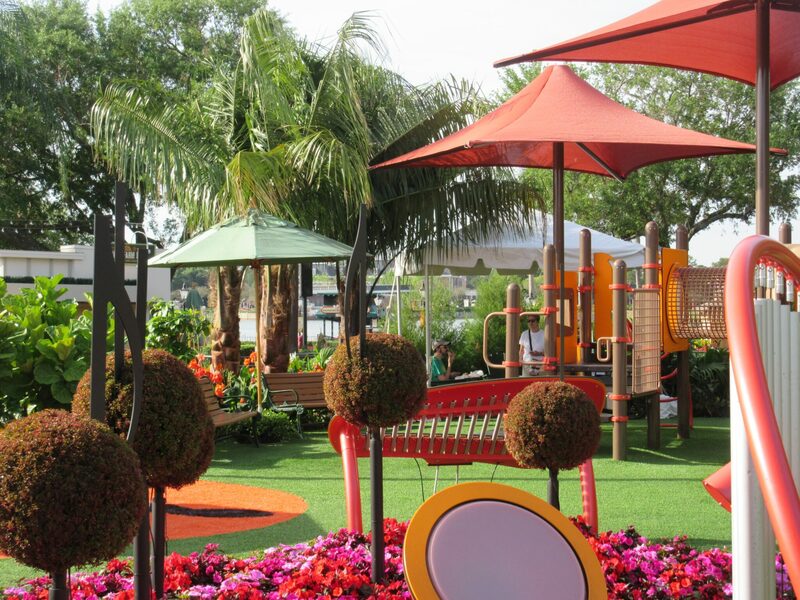 I know my grandkids would happily spend at least an hour playing with all the entertaining activities available at Music Garden Melodies. 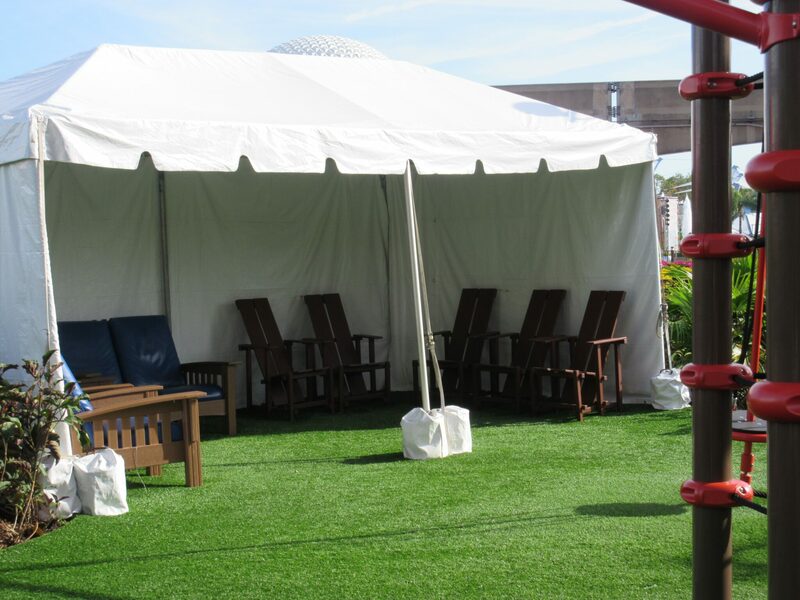 But here’s the best part – there’s a shaded tent with padded lounge chairs for parents to relax! Just take a look at this! Don’t those chairs look inviting? I’d be tempted to rope-drop Epcot just to head to those chairs! The cast member supervising the area said these lounge chairs are for all guests to enjoy. No fee. They are just waiting for you on a first come, first serve basis. 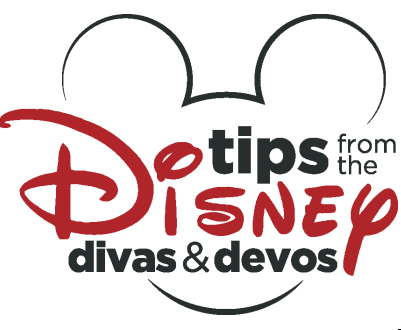 Diva Tip: Refreshment Port is just a few steps around the corner. They sell the scrumptious Croissant Doughnut and adult beverages! That shaded lounge chair, a drink, and a cronut seem like a match made in heaven! If you aren’t able to snag one of these prime shaded chairs, don’t just give up and pass Music Garden Melodies. There are several other benches in the vicinity, and a few canopies to help shield you from the Florida sun. 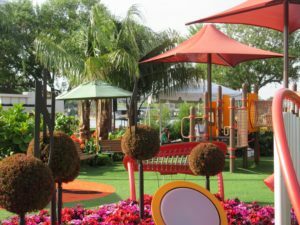 And if you don’t have a child with you, don’t assume you can’t enjoy this fun spot! Go on in and rest. 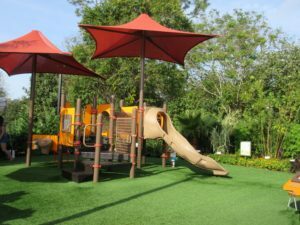 It may not be the quietest spot to relax in Epcot, but it will surely be fun watching the young kids play and listening to the music they create. 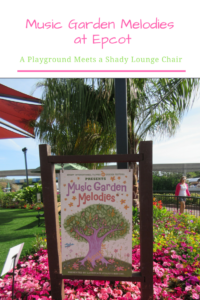 So if you have some time before your next FastPass, or want to let the kids wear themselves out so they will nap in the stroller while you roam around World Showcase, or if you’re worried you’ll succumb to the “Every Person Comes Out Tired” syndrome our bus driver alluded to, stop by Music Garden Melodies during the Epcot International Flower and Garden Festival. If you’re lucky enough to find some Disney Magic, you may even get one of those awesome lounge chairs!